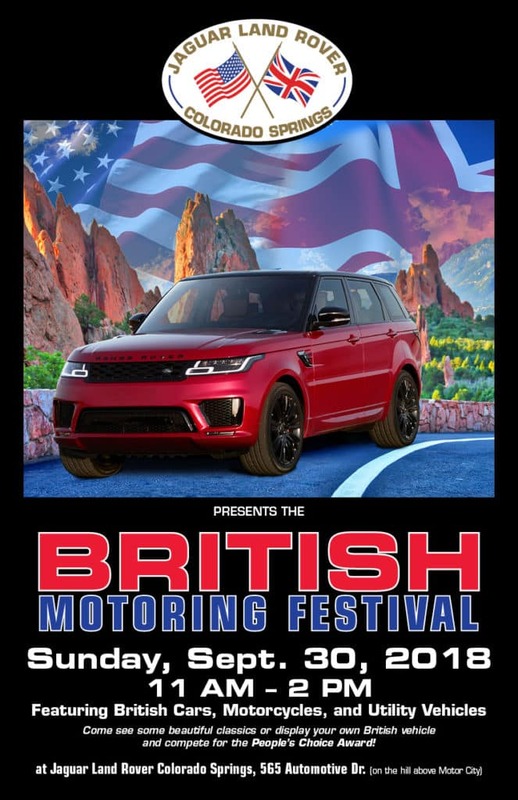 Don’t miss out on a great time at the British Motoring Festival in Colorado Springs. This is a great chance to see a variety of unique and antique British cars, motorcycles, and utility vehicles. This event is presented by Jaguar Colorado Springs and the Jaguar Club of Southern Colorado. This free event will be held at 565 Automotive Drive in Colorado Springs on September 30 from 11 am to 2 pm. Mark your calendar for this fun event!